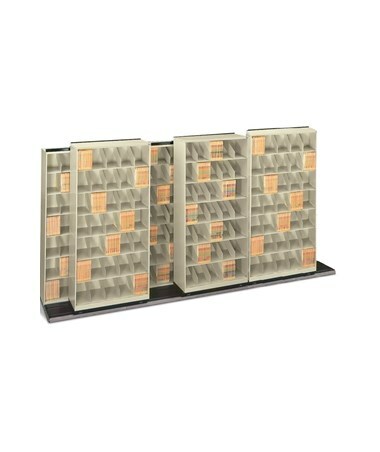 The versatile ThinStak BiSlider Open Shelf Filing System helps keep your medical documents organized and accessible while taking up a minimal amount of floor space. 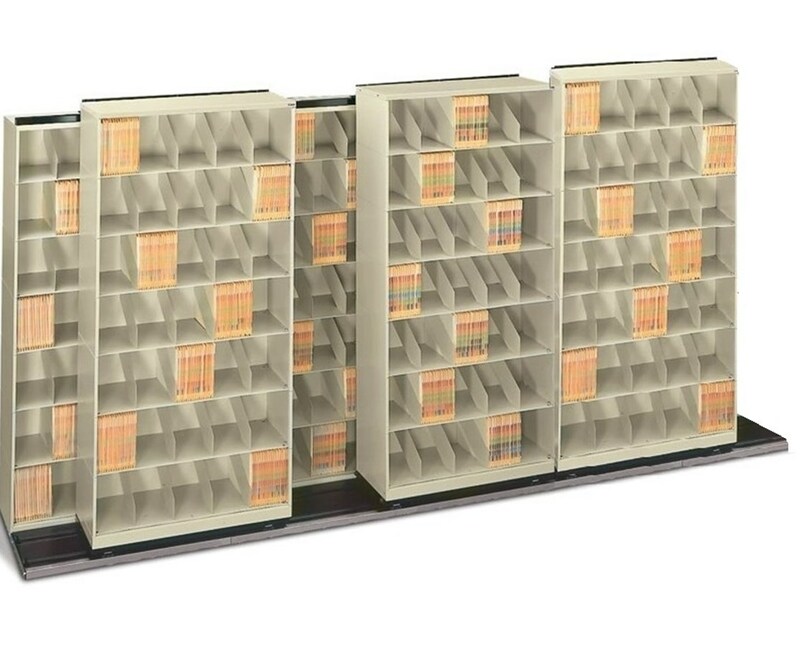 This configuration includes a double row of shelves with four shelving units in the back and three in the front. 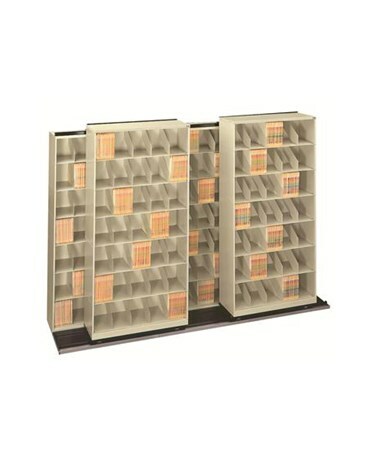 You can view many other customizable unit configurations in the Related Products Tab above. Overall Width 148" - 196"
Overall Depth 28-3/8", 34-3/8", 40-3/8"
Product Weight 1,256 - 2,050 lbs. Filing Capacity (LFI) 1,225" - 2,632"